LABJ FORUM: Sigh of Relief? The Business Journal asks: Do you feel safer now? Local venture capital funding, which declined sharply in the fourth quarter of 2002, accelerated into a freefall during the first quarter amid a gloomy national funding picture. Tourism officials are scrambling to keep their beleaguered convention and visitors bureau afloat after L.A. Mayor James Hahn announced plans to slash the city's funding in half. The chairman of Farmer Bros., the Torrance-based coffee importer under siege from its outside shareholders, faces a new challenge from his nephew and longtime foe. A decade into the experiment of self-administered business improvement districts, three of the five property-based groups up for renewal this year are encountering problems ranging from charges if mismanagement to grousing over services. In the cutthroat battle for customers who live in apartments, the satellite TV industry has long been at a disadvantage to cable companies. With the clock ticking on the five-year deal that let the once idiosyncratic Rhino Records operate autonomously, its parent company, Warner Music Group, has started siphoning off senior management. Memory products maker Kingston Technology Co. is shifting more work to its year-old assembly plant in China, part of a quietly unfolding trend of Orange County memory products makers moving work to Asia. L.A. County median home prices rose once again in March to $290,000, but the number of sales fell for the second consecutive month, according to preliminary estimates from DataQuick Information Systems. After graduating from U.C. Berkeley and surfing all around the world, Jim Miller who took up the sport at age eight decided to make a business of his pleasure. Importers rushing to beat a major price hike in cargo hauling fees drove a spike in container traffic at the ports of Los Angeles and Long Beach in March. Already reeling from revenue shortfalls, increased costs and greater demand for social services, local governments throughout L.A. County are being forced to pay out millions of dollars to shore up unsteady pension plans. 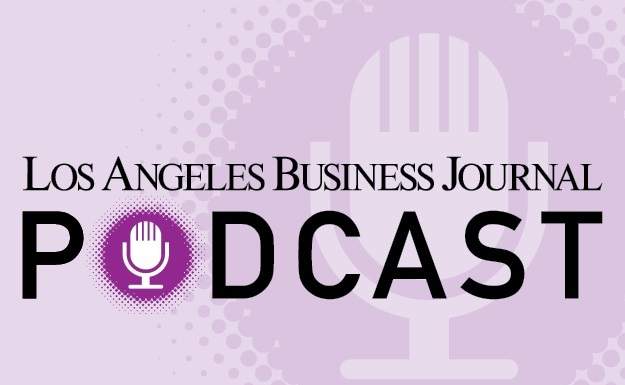 The Business Journal asks: How far do you think the Lakers will go in the playoffs? Corporate officers and directors, increasingly subject to claims from employees alleging breaches of fiduciary duty, were handed a victory when a three-judge panel in Los Angeles extended them further protections in wage/hour litigation. Fremont General Corp.'s transition from workers' compensation insurer to real estate lender is finally leading to profits. While the Chargers are in talks with the city of San Diego for a replacement to aging Qualcomm Stadium, they are reaching out to Orange County and other Southern California areas to grow their fan base. Promoter Karen Lee says she's been "banging her head against the wall" trying to get airplay for Porcupine Tree, an aspiring rock band from London, for going on five years now. When Rod Bourgeois, a senior analyst at Sanford C. Bernstein & Co., released a probing report on Computer Sciences Corp., he was flooded with negative comments from outraged clients who owned the stock. Biotech funding continues to be a struggle in the San Diego region, one of the industry's most prominent and until recently prosperous regions. The Business Journal asks: Now that the war in Iraq seems to be winding down, are you more optimistic about the economy? Independent public relations firms saw revenues decline by 7 percent last year, as the recession and ongoing uncertainty in the aftermath of the 2001 terrorist attacks led to a pullback in corporate spending. The latest piece in a two-year effort to remake the Los Angeles Times' news pages will debut this week with the introduction of a Home section that covers topics ranging from architecture to gardening. United Online Inc. believes it has an answer for its thrifty Internet service customers who crave faster downloads but don't want to pay the price of broadband. The problem: Its competitors have come up with similar plans. When L.A. city and county officials release their proposed 2003-04 budgets this week, the picture will be troubling but not disastrous. That could come later. Sacramento lawmakers have responded to a host of underwriting practices that make it harder to obtain homeowners' insurance. Barely one month into his tenure as chief executive of the city's Community Redevelopment Agency, Bud Ovrom is proposing an ambitious restructuring. As United Way campaigns struggle nationwide due to the soft economy, Los Angeles is somewhat bucking the trend, with both corporations and the area's richest residents giving more. Weekly Briefing - Noah Golden, owner and operator of residential and commercial solar energy systems consultancy Golden Energy in Santa Monica, struck the alternative energy market in the wake of California's electricity crisis. The Business Journal Asks: Are you concerned about the spread of SARS and are you taking any preventative measures or altering your travel plans? The crisis in workers' compensation is finally getting the attention of state legislators. The Los Angeles Business Journal has won an overall excellence award for business weeklies by the Society of American Business Editors and Writers and was also recognized for its coverage of Global Crossing Ltd.
L.A. City Councilman Dennis P. Zine has formed an advisory committee to keep Boeing Co.'s Rocketdyne division in the San Fernando Valley as the aerospace company receives overtures from Alabama officials to move to their state. High diesel fuel costs are fraying relations between a group of trucking firms delivering goods into Mexico and the independent drivers they hire on contract. A group of Westside businesses and hotel operators trying to establish an alternative structure to the Los Angeles Convention and Visitors Bureau has gained support in the San Fernando Valley and is stepping up its lobbying efforts at City Hall. Hotel operators, responding to wider powers granted federal investigators following the terrorist attacks, have dropped traditional objections to releasing guest information to authorities.